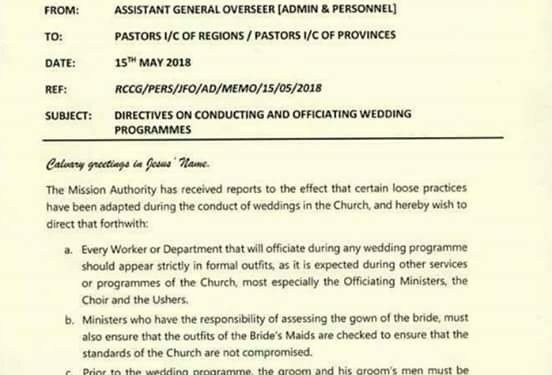 The Redeemed Christian Church of God has reportedly asked its church ministers to ensure that intending grooms and their groomsmen who belong to the beard gang group are not allowed to wed in the church. 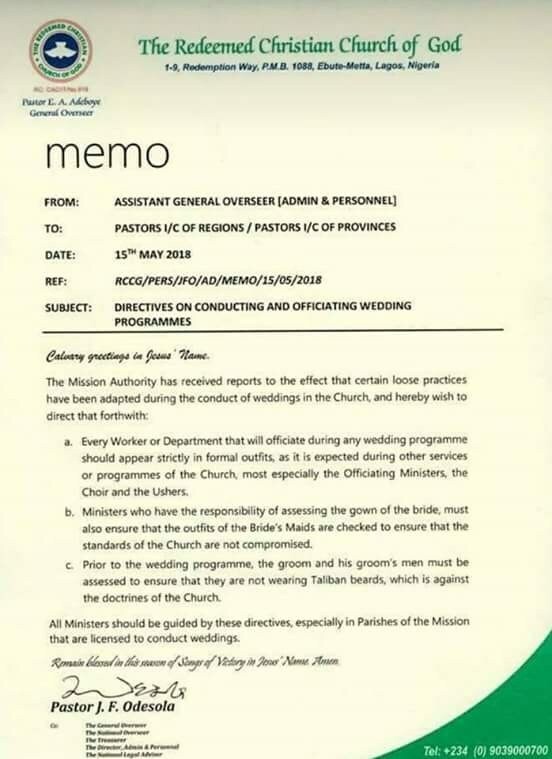 According to the memo sent to all branches, grooms and their groom’s men are not allowed to wear ”Taliban” beards during any wedding service conducted in any RCCG branch. 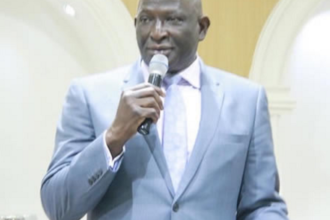 The church gave the order to Ministers in the month of May.